HOUSTON (KTRK) -- The Bayou City Art Festival begins on Friday, April 29th and this year the event will feature more than 350 artists. This year's featured artist is April Murphy, whose unique animal-centric and cheerful artwork will bring a special edge to the festival. The Bayou City Art Festival is celebrating 45 years of spotlighting local artists. Festival patrons can enjoy artwork from 19 different disciplines along with an array of delicious, local foods. The festival begins Friday, April 29 from 11am to 6pm; Saturday, April 30 from 10am to 6pm and Sunday, May 1 from 10am to 6pm. On Site public parking is not available at Bayou City Art Festival Memorial Park. Shuttles are provided from Northwest Mall to and from the Memorial Park Festival site. There is an Uber drop off area just feet from the front gates, and there is tons of space to lock your bicycle up. Click here for more details on the shuttle service. Tickets are $12 for adults and $5 for children, ages 3-12. Shuttle tickets are on sale now for $3. 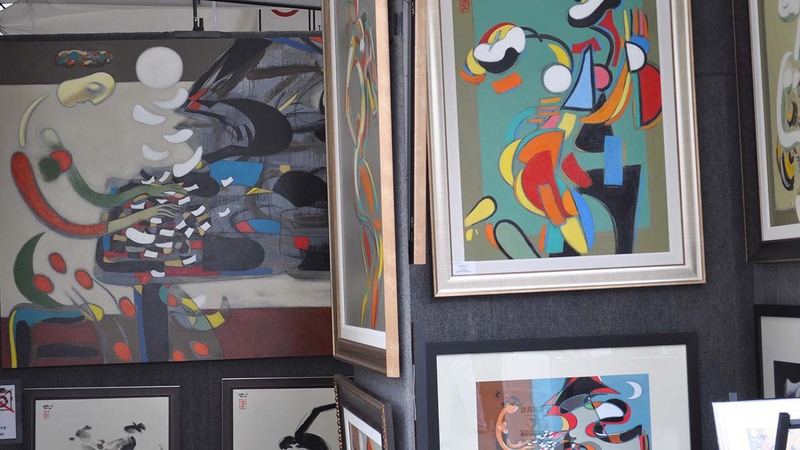 From paintings to sculptures, a variety of works from hundreds of artists were on display in downtown Houston, October 11-12, 2014.